Make small cut in center of each cheese ball; insert carrot slice. In medium bowl, mix remaining ingredients. 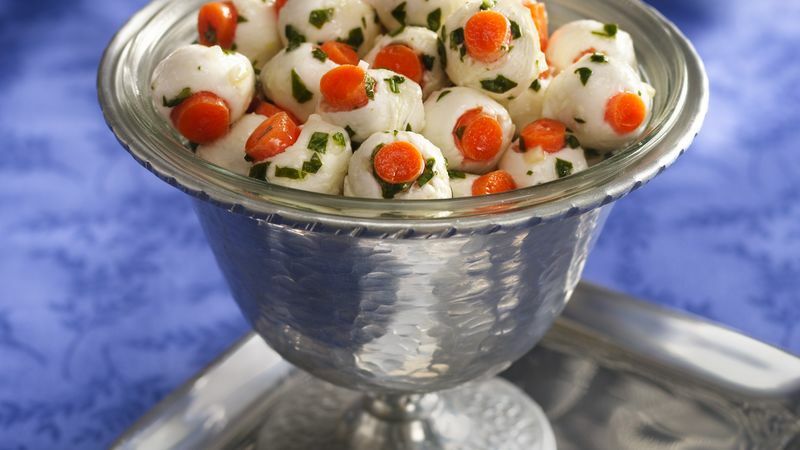 Stir in stuffed cheese balls. Cover and refrigerate 1 to 2 hours to blend flavors. Stir after 30 minutes. The marinade ingredients can be mixed in a 1-quart resealable food-storage plastic bag instead of a bowl. Add stuffed cheese balls to the marinade mixture. For extra convenience, look for jars of chopped garlic in the produce department.